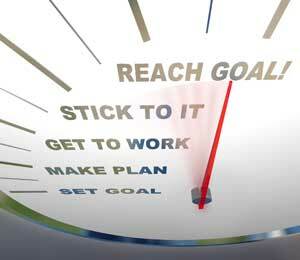 Attitudes, beliefs and behaviors are key elements for successful goal setting. When you positively change the key elements you open the doors to new possibilities. Your success in life depends on your ability to change and your willingness to learn new ways of thinking and doing things. You can change your behaviors by modeling someone in your field whom you admire and respect. Another way to build the key elements in you is to spend time with other people who are already successful. Continue reading to find out details of the ideas. There are key elements for your personal and professional success: the attitude toward your life, the beliefs you model your life around, and the behavior towards yourself and others. These three elements are tightly connected and interwoven. They can either make or break your confidence while you set and meet your goals. Attitudes are the ways you react to situations and people, based on the assumptions and the beliefs that you have learned. Your beliefs are the conjectures that you make about yourself, other people, and situations. Your beliefs come from what you think and how you think things are. Your beliefs will make you react the way that you do and cause your expectations to stay within a certain framework of thoughts. Your behavior is how you carry out the attitudes that you have adopted towards situations and people. One proven strategy that can change your behavior is to model your personal and professional beliefs on someone in your field whom you admire and respect. Find someone who is successful — according to your definition of success — then take a look at what these successful people are doing and how they are doing it. Another strategy that you can do is to ask yourself who you’re mixing with. If you’re spending time with other people who wouldn’t be considered as successful then you need to start mixing with those people who are successful. Without leaving behind those who have chosen poor goals, you may start mixing with people who have a positive and winning attitude towards their life. Successful goal setting begins with the two approaches. First, you encourage positive leadership and modeling in your life. Then, find external influences that reinforce your new, positive behavior.